Teen Mom Star Wants One More Baby And Here Is The Reason Why! Teen Mom Stars has always been supporting to their kids. Many of the fans have had slammed them for not taking care of the kids properly. But if you're a Teen Mom you don't have to clap back at them, as it's normal for them! Now, this Teen Mom stars wants one more baby! And this might be the reason why! Well, He is a Teen Mom Dad! Last month, former Teen Mom OG star Ryan Edwards was arrested on charges theft and heroin possession. The good news is, the theft charge has since been dropped. But the possession charge isn’t going anywhere, and since Ryan was on probation at the time of his arrest, he’ll remain behind bars at least until his court date on April 15. Ryan Edwards is not part of the show as Maci Bookout was uncomfortable to film with Ryan Edwards. Teen Mom producers had to fire Ryan Edwards! But that’s not the missed opportunity then down below! Missing childbirth Ryan missed Jagger’s birth. However, it was for a good reason as he was in rehab. He sought treatment for his opioid addiction. Teen Mom viewers will remember that he by joked “call him” when the baby is three. He is a fan of “hands-off” parenting. Ryan has been absent for many of Bentley’s milestones. In fact, his parents Jen and Larry Edwards play a larger role in his life. Maci’s husband Taylor, serves as Bentley’s primary father figure. Ryan’s wife, Mackenzie Standifer, is not without a support system on the outside. 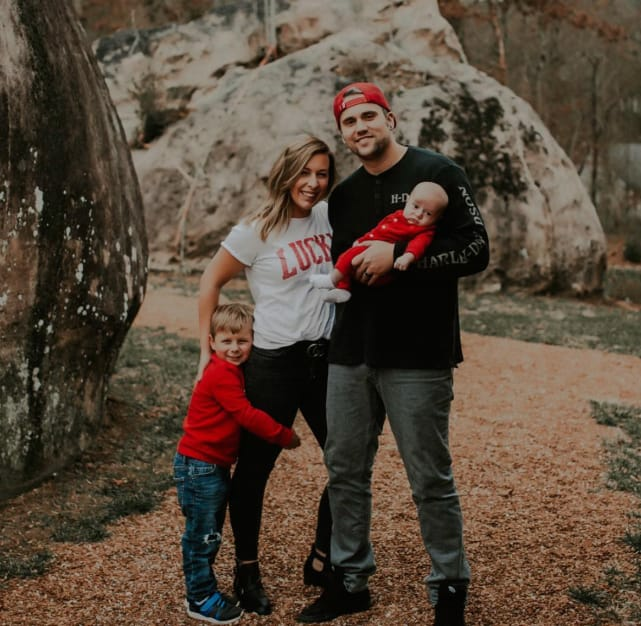 Maci Bookout recently surprised fans by posting a family photo in which she posed with Ryan Edwards’ wife, Mackenzie Standifer. “Family isn’t an important thing, it’s everything,” Maci captioned the photo of herself with Mackenzie and the kids. Given Ryan Edward’s history as a father, it makes little sense why Mackenzie Edwards would want another child with him. Some wonder if Mackenzie has ulterior motives. Perhaps, she wants back on the show? But it seems like the two really want to have another kid! One more couple and one more baby! Tyler Baltierra and his wife Catelynn Lowell are currently expecting their third child together, and they’ve already got plans for baby No. 4. While taking to Instagram Live recently, the reality star said she “definitely” wants to grow their brood after she gives birth!